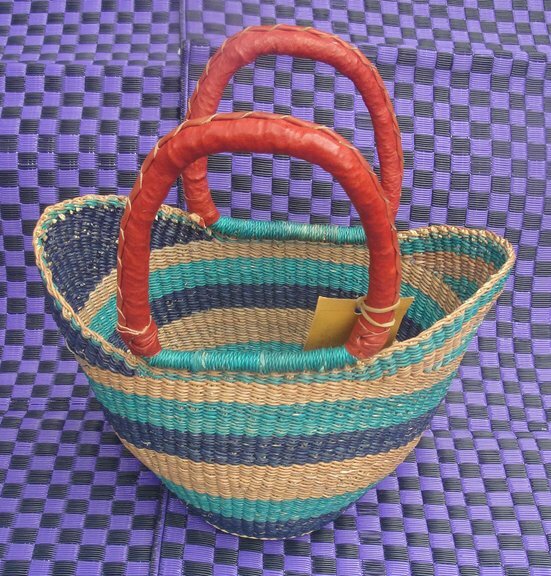 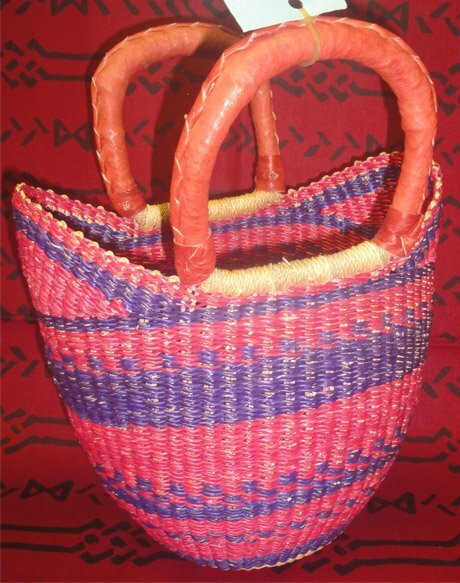 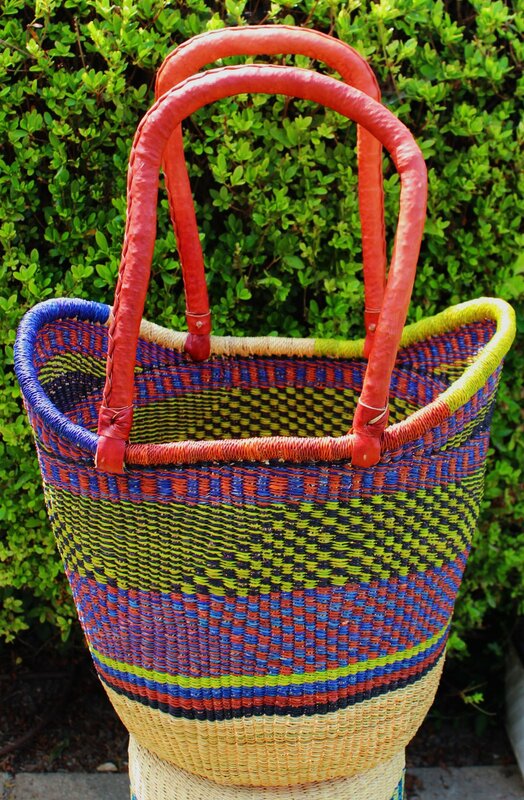 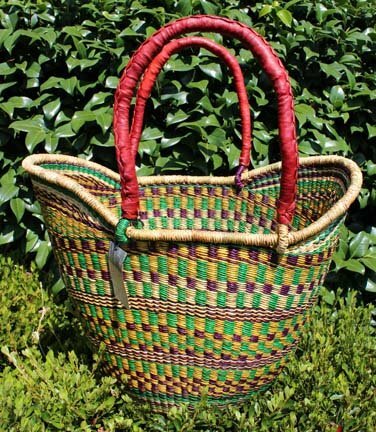 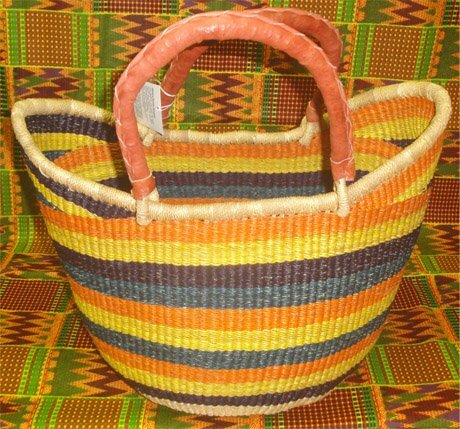 U shopper baskets are a newer shape from Ghana. 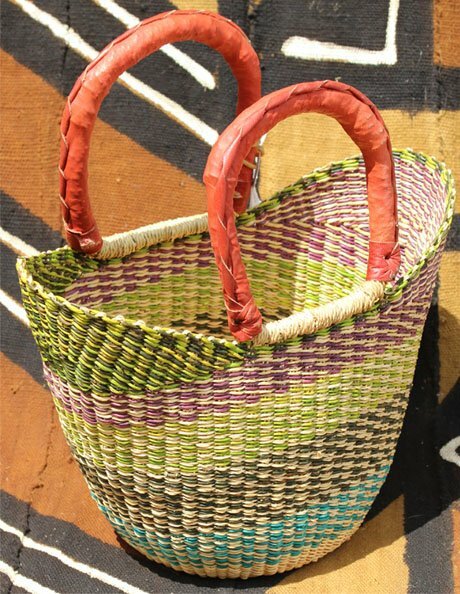 These baskets are perfect for shopping, heading to the beach, or carrying your favorite craft project. 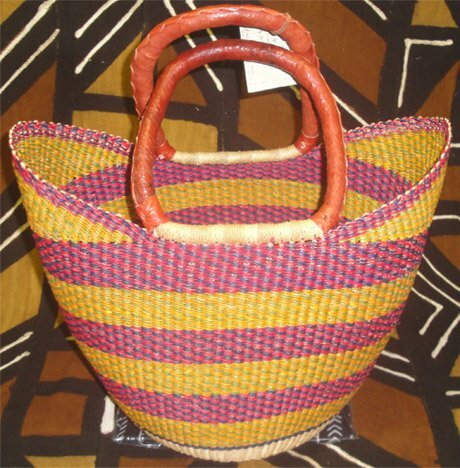 In the 15 years we have been importing Bolga baskets, we have been delighted to see innovation and improved quality. 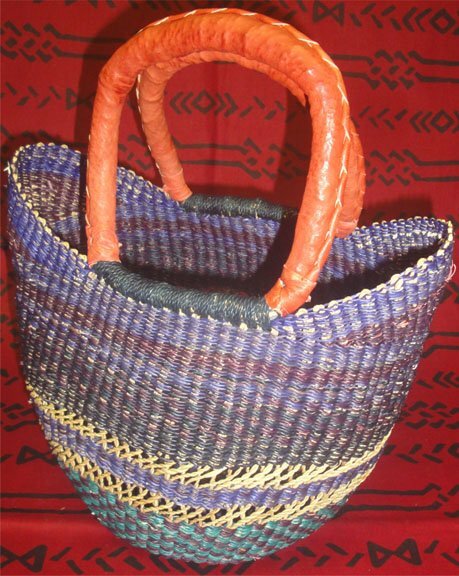 We buy directly from one agent who works with women's groups in the area. 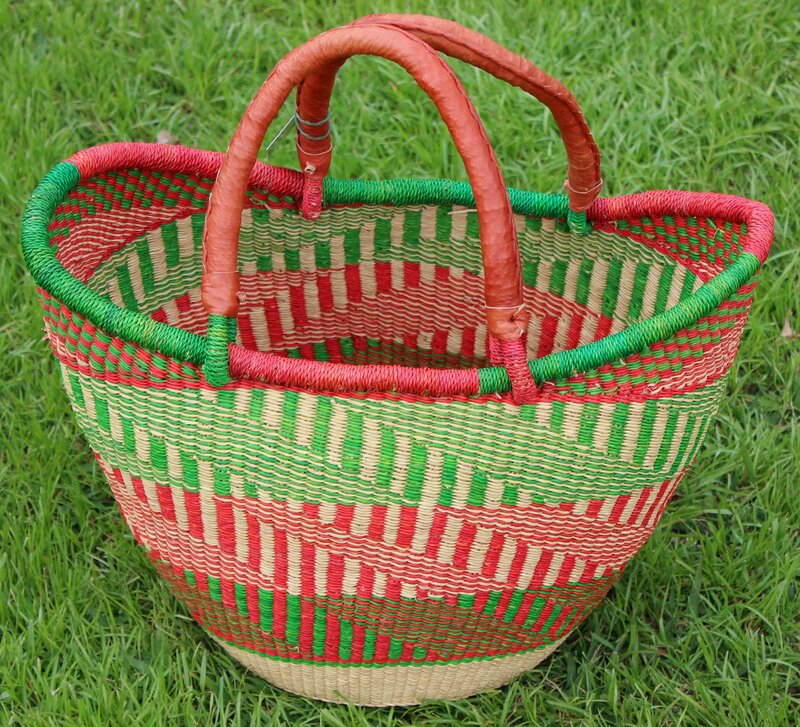 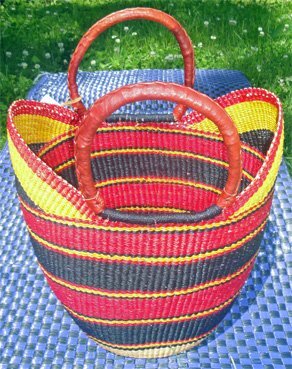 There are many basket buyers in Bolga and ours specializes in getting the best quality baskets by offering higher than market prices. 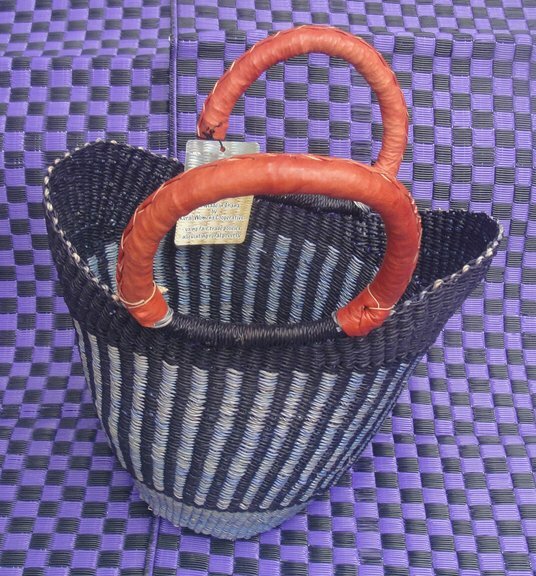 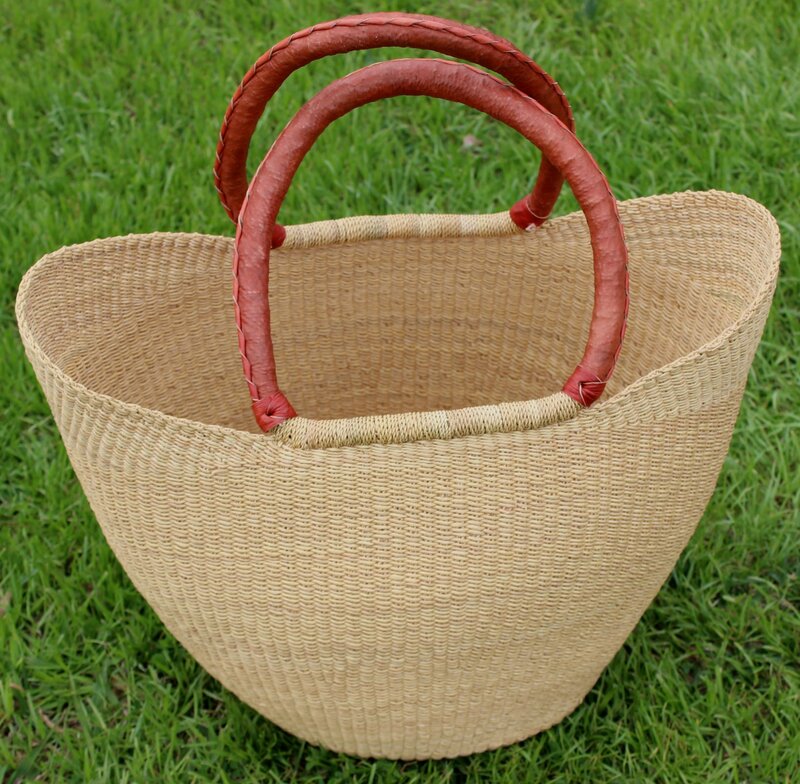 If a basket does not meet our agent's expectations, it can be sold at market. 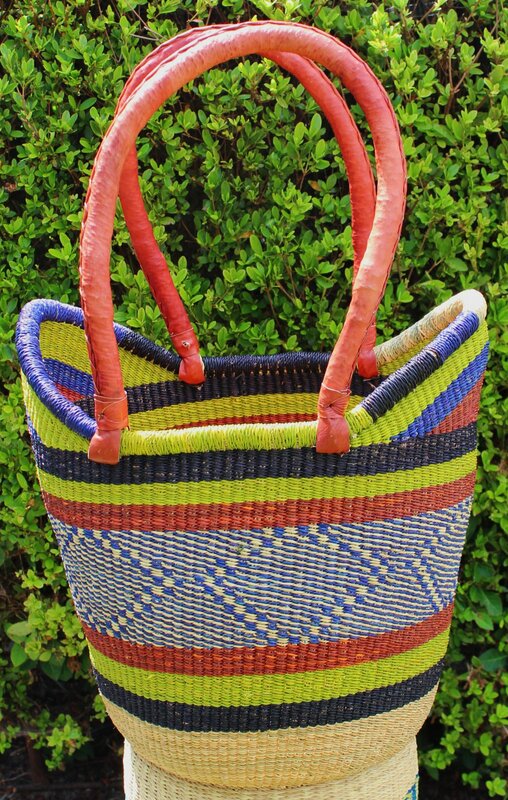 By paying more, we get the best. 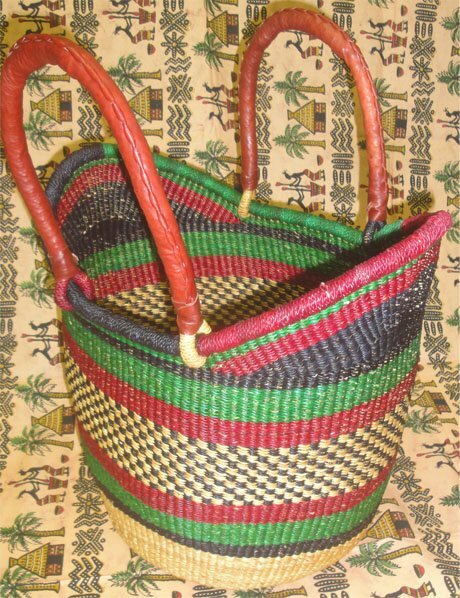 A true win-win situation.